But it'll only be releasing a total of five to six models next year. Shortly after showing off the squeezable U11+ in Taipei today, HTC President Chialin Chang confirmed that his company is re-entering the dual-camera smartphone space in 2018. "We'll definitely be releasing a dual-camera phone next year, but we'll need to figure out how to make this feature stand out," the exec told the media in an interview session. 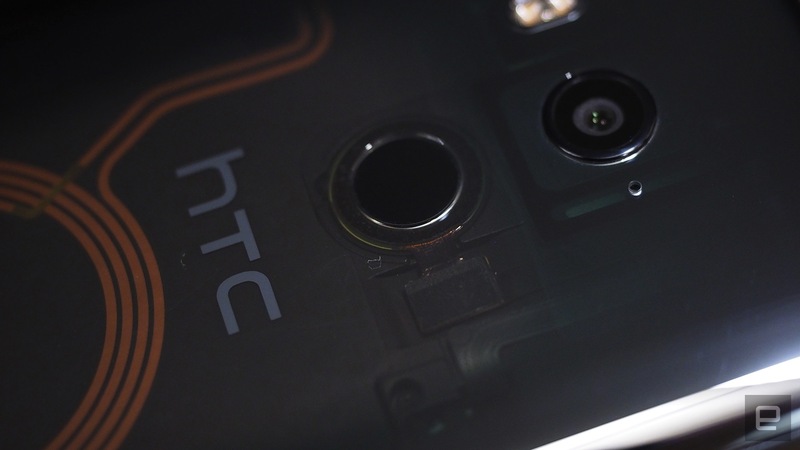 Folks who are familiar with HTC's history will no doubt be amused by this move. Its EVO 3D was one of the first smartphones equipped with a dual-camera system, but after the short-lived mobile 3D hype, the Taiwanese firm eventually started championing its pseudo-depth-sensing "Duo Camera" to offer bokeh photo effects on two generations of flagship devices. Ironically, just as HTC decided to ditch the dual camera for the 10, the likes of LG, Huawei, Xiaomi and even Apple started pushing this feature. While Chang didn't provide further detail about HTC's upcoming dual-camera device, he did mention that much like this year, next year his company will be releasing just five to six smartphone models in total. 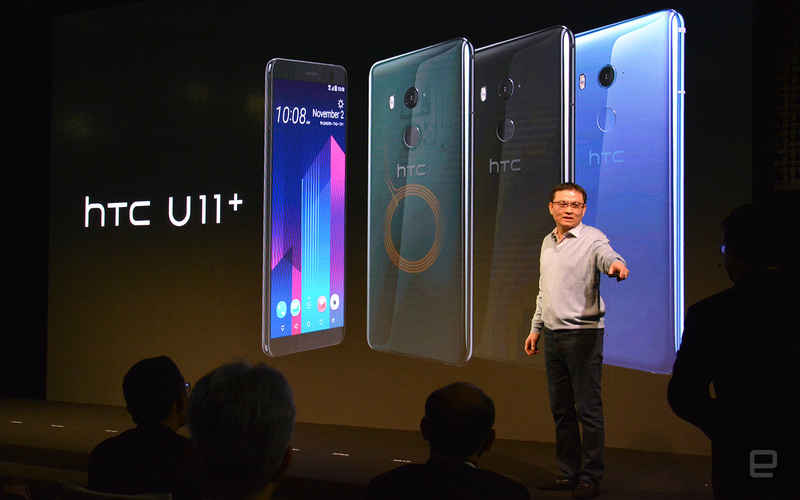 HTC also plans to tackle the fierce 2,000-yuan (about $300) smartphone market in China at some point, as opposed to just focusing on the premium tier which is currently covered by its U Ultra, U11 and U11+. As for the progress on Google's acquisition of HTC's Pixel team, Chang said it's still on track to be approved and closed by early 2018. I then followed up with a related question that had been on my mind for some time: was the U11+ originally destined to be Google's Pixel 2 XL? We understand from a reliable source that HTC designed both the Pixel 2 and Pixel 2 XL, but Google only kept HTC's Pixel 2 and took the other design to LG for a cheaper production (ouch). Also, unlike the U11, the U11+'s fingerprint sensor is placed on the back, which led to me thinking that the latter wasn't originally intended to be a sibling device. Maybe this was HTC's way of making use of components that it had already ordered before Google changed its mind. "The question you asked is too tough, I don't know how to answer you," Chang replied, followed by a long pause. "I can't comment on Google's products. Due to our relationship with Google, there are obviously things that we know and don't know about them, but either way, we can't comment. I can only comment on our own U11+: we actually started planning it as such around end of last year, like the way we sourced its key components and whether they made sense, it was planned that way at the time. We are also very happy that our U11+ used these parts." It's hard to tell whether this vague response confirms my theory. It is possible that at one point the U11+ coexisted with HTC's original Pixel 2 XL design, because after all, one would get a better deal for parts by ordering in larger quantities, and then share them amongst similar models -- a practice that our source also confirmed. And to address my observation on the repositioned fingerprint reader, Chang said placing it on the back makes more sense for a device carrying a long 18:9 display, so if HTC had really designed two similarly-specced variants, it could well have wanted the same rear fingerprint reader design on both. Either way, one thing's for sure: the outcome looks promising, but HTC will have to work its magic to sell a lot of U11+.